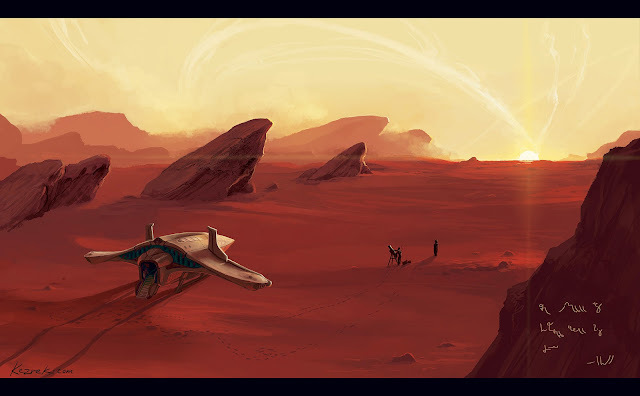 Our protagonists land in the 'safest' region of the planet- "The Scar"- a lifeless wasteland torn open by solar flares. This sun consistently throws off huge coronal mass ejections which can be seen clearly from dusk to dawn. If it wasn't for this planet's powerful electromagnetic field, no one would be able to withstand the radiation. It's here that the story begins. Things go haywire from then on..